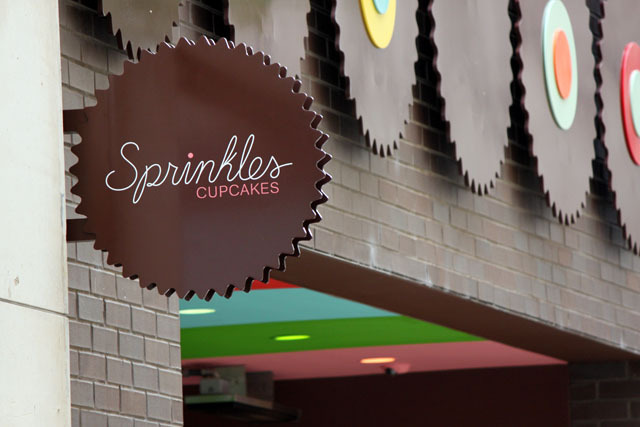 Sprinkles in Chicago this weekend: both the kind that come from the sky and the kind that come from the cupcake gods! 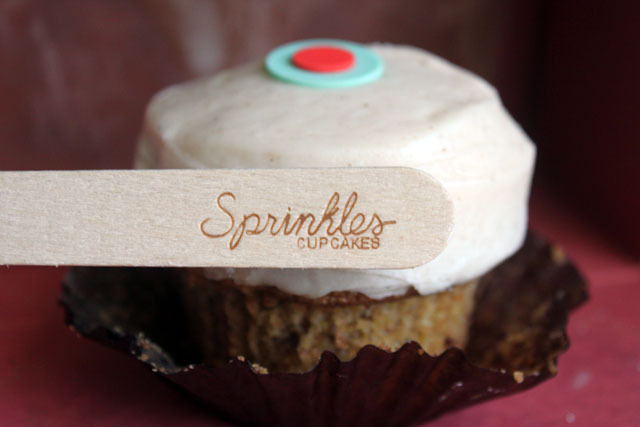 When I realized that we were going to stay two blocks from the latest Sprinkles location, I flipped out. 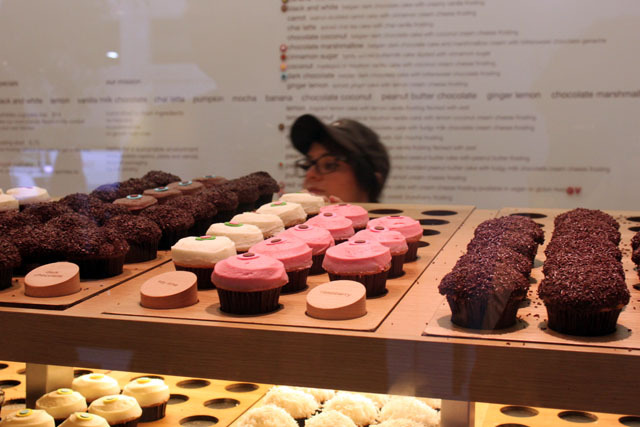 I have been following Candace Nelson since she first appeared on TV six years ago, and now her original gourmet cupcakes are baked fresh in the Midwest. 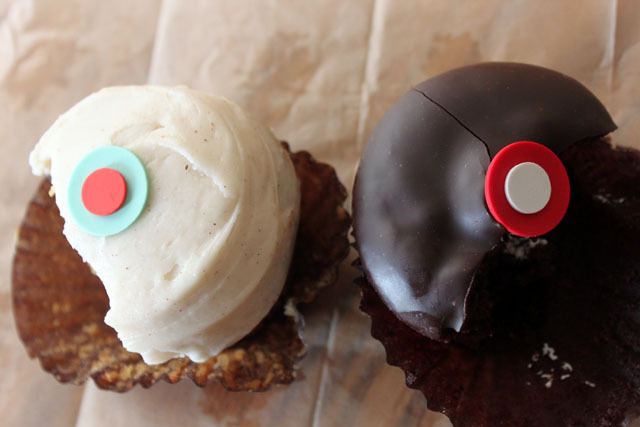 So before we left I requested to make a cupcake stop during one of our days in the city, and my brother-in-law said, “why not both days!” And even though there was rain, we totally did stop both days (yes, one of the million examples of why I have the best bro-in-law ever). Of course I like the looks of the colored flavor-indicating sugar dots, but these cupcakes are about the ingredients. They are not too fussy and have proven to be a trendy classic. My top two were the carrot and the chocolate marshmallow. 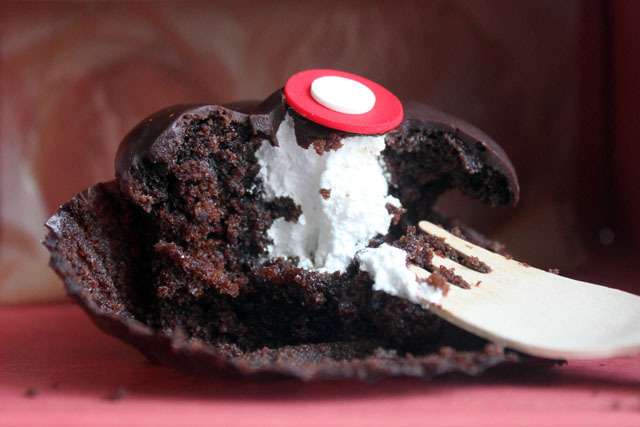 The ganache covering that cupcake will be on my mind for quite some time. I love the rain and fresh chocolate marshmallow cake. My mouth is watering. These pictures are amazing. I feel as if I can smell and taste them. YUM! the smell walking into that little boutique bakery was so dreamy.